Imagine a planet that’s about the same size as Earth, made up of the same rocky material, with Earth-like features such as clouds and volcanoes, and just a little bit closer to the Sun. But now imagine that this planet has a surface temperature hot enough to melt lead, an atmosphere that would crush you, and where it rained sulphuric acid everyday. This place is Venus. Venus is named after the Roman goddess of love, but this week on Mr Science, we will discuss a planet that has nothing to do with love and is about as close to Hell as you can possibly get. Back when the solar system was being formed, Earth and Venus looked quite similar – they were both rocky, inhospitable places with volcanic eruptions spewing carbon dioxide into the air. Both had water vapour in their atmospheres. On Earth, this water vapour turned into clouds and eventually the oceans. On Venus, which is 30 per cent closer to the Sun, it was slightly too hot for liquid water to form and eventually the sun's radiation broke apart the water molecules. 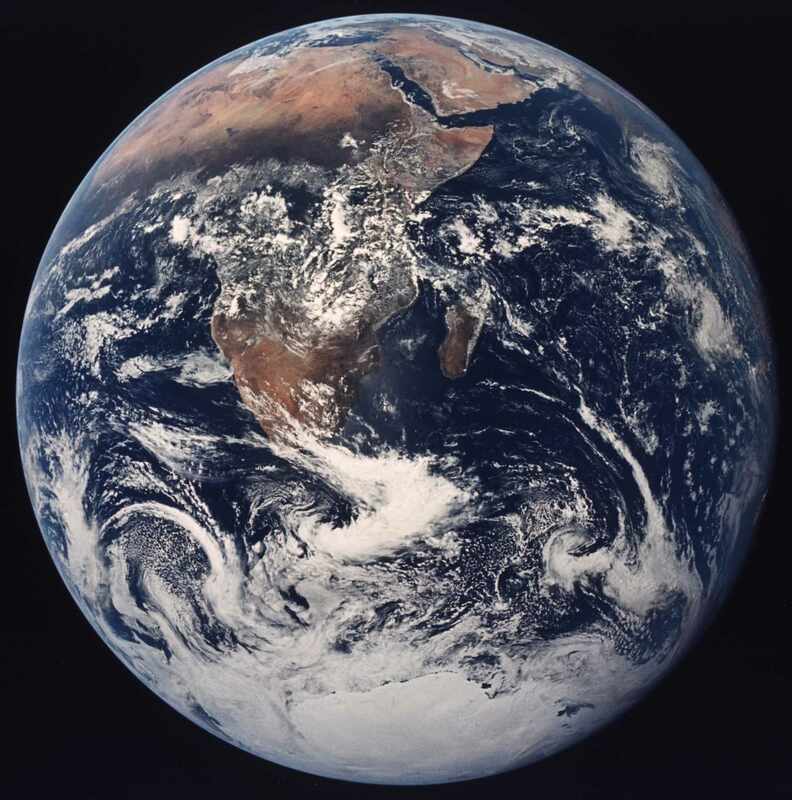 On Earth, the oceans dissolved much of the atmosphere’s carbon dioxide and helped create limestone and other minerals. On Venus, all this carbon dioxide, with no water to dissolve in, continued to accumulate in the atmosphere, until the pressure was 90 times that of Earth’s. This caused a runaway greenhouse effect. With radiation from the Sun not able to escape from this dense atmosphere, the temperature got hotter and hotter until the average temperature reached 450 degrees Celsius. It was liquid water, or the lack of it, that made all the difference. So could we possibly ever go to this place? The first landing on Venus was in 1966 when a Soviet probe called Venera 3 crash-landed on the surface. In 1967, Venera 4 descended through the atmosphere sending back readings, but its batteries failed before it touched down. Venera 5 and 6 were crushed by intense atmospheric pressures. Finally, in 1975, a descent vehicle from Venera 9 made it to the ground. No human has ever been there. On April 11 2006, the Venus Express, which is a European Space Agency mission, successfully assumed orbit around Venus, and it plans to map the Venusian surface for about two Venusian days. This may not sound like a long time, but this actual equates to about 500 Earth days. This means that Venus rotates very slowly. Another usual facet of Venus’s rotation is that rotates in the opposite direction to the other major planets – that is, the sun rises in the West and sets in the East. Scientists do not know why Venus rotates so slowly and in the opposite direction, but it is thought that is has something to do with solar heating of the thick atmosphere, friction and tidal forces. So to survive on Venus’s surface, you would need to be able to withstand incredibly hot temperatures, intense atmospheric pressure and acid rain from the sulphuric acid clouds. It would seem therefore unlikely that life as we know it could live on Venus’s surface. But some scientists, like NASA’s Geoffrey Landis, think that life may exist up above the clouds. At 50 km above the surface, the temperature range is between 0 and 50 degrees Celsius, the air pressure drops to 1 atmosphere and the gravity is 90 percent that of Earth’s – very pleasant conditions for life, or at least, microscopic life. Indeed, scientists have discovered that the chemical carbonyl sulphide is found in Venus’s atmosphere. This is a compound that is difficult to make using natural processes and is usually found as a bi-product of life. 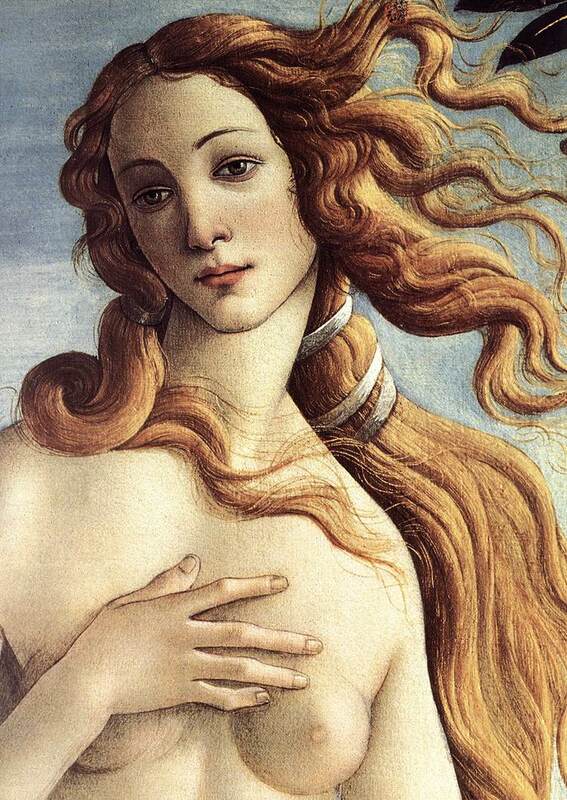 But it would seem that Venus has nothing to with its namesake, the goddess of love. However, stay tuned for next week’s Mr Science, when we take a closer look at this topic of love, and see whether there is any science behind human attraction. A land of hobbits, giant rats and miniature elephants? Ever wondered what it would be like to be stranded on a deserted island? What if that island was a lost island of pony-sized elephants, gigantic lizards and even miniature humans? Sound far-fetched? Whilst the idea may be fanciful, scientists think they may have discovered such a place. The island is called Flores, and is east of Java in Indonesia. A team of Australian and Indonesian paleoanthropologists and archaeologists were looking on Flores for evidence that the Homo sapiens species of humans – the species that we all are – migrated down through Asia and into Australia about 50 000 years ago. What they found was truly astounding. They found the remains of at least seven individuals of some type of human, but a type that looks nothing like us. These humans were only about one meter tall, weighed only 25 kg and had brains that were four times smaller than our own. Scientists now call them Homo floresiensis, on account of where they were discovered, although they are more commonly, and perhaps cruelly, known as Hobbits, after the little human-like species from The Lord of the Rings. What was even more surprising was that their remains suggested that they may have survived as recently as 12 000 years ago – which means that some of the stories passed down by the local people in the area about seeing little people could possibly be true! Even an editor of the reputable science magazine Nature has suggested that it is not beyond the realms of possibility that one day we may find a human-like species like this still alive and well somewhere in an uncharted part of the world. It is even more likely that, as Homo sapiens and the hobbits were living in the same part of the world at the same time back then, they probably came face to face. There is currently debate about how to classify these hobbits. It is not sure yet whether they descended from Homo erectus – the same species from which we Homo sapiens descended – or whether they could even be an off-shoot of modern humans – they did have quite sophisticated tools, and although their brains are small, they are big for their size. 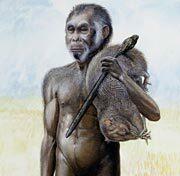 It is thought that Homo erectus, a tall not-quite ape, not quite homo-sapiens creature, travelled out of Africa, colonised Asia and then stopped. There’s never been evidence that they travelled over water – simply because they weren’t smart enough. Is this evidence that they did? Or is this evidence that these hobbits are more like us than we think? What seems clear though is that the reason this species is so small is because of the conditions in which it lived on the island. When they came to the island, and its unsure how that happened at the moment, they would have found a small island with limited resources. As generations passed, they evolved to get smaller and smaller, as in this way they would require less food to survive. Also, having a smaller body in the hot and humid conditions meant that was easier to cool down and less heat was made within the body when they moved around. Some scientists think that this is an example of island dwarfing, which is a biological phenomenon by which the size of an animal isolated on an island shrinks dramatically over generations. It is a form of natural selection in which a smaller size provides a survival advantage. But these hobbits were not the only species on the island that were a little strangely shaped. Dwarf elephants were also found on the island and were probably hunted by groups of their hominid counterparts. These animals, called Stegodons, were smaller than modern water buffaloes and also suffered island dwarfing. Not every species on Flores is small though. In contrast, Flores is still home to a giant rat, which has a head and body size of about 45 cm, and a tail length of up to 70 cm, which means that they can stretch over 1 m! The island is also home to the Komodo dragon, a giant carnivorous lizard that can be as long as 3 m and weigh around 70 kg. If its initial bite doesn’t kill its prey, the over 50 different strains of bacteria in its teeth will. This prey includes pigs and even water buffalo. It might have been able to stay huge on the island, unlike the elephants, because these elephants, and perhaps even our hobbit friends, were the perfect meal size for them. But whilst the giant rats and dragons survive to this day, the mini humans and elephants do not. Scientists think that they fell victim to a volcano eruption about 12 000 years ago. But could these strange and wonderful species exist somewhere else in the world? Be careful next time you’re shipwrecked and wash up ashore on a deserted island. A race of three-foot high humans who hunt elephants that only come up to your waist, and eat rats as big as dogs may await you. And be careful of the dragons with deadly bacteria-laced saliva. Who ever said science was dull?! Want to travel through time, or to the edge of the universe? Imagine seeing the great wall being built, visiting your great, great, great grandchildren in the 23rd century, or instantly travelling to the other side of the universe. Time travel and wormholes used to belong to the minds of science fiction writers. But, with a little inspiration, scientists have begun to show us that science fact can be just as strange as science fiction. Einstein's special theory of relativity shows that time travel into the future is actually possible – there is no reason why we can’t do it. We just don’t know how to yet. Einstein’s theory suggests that the way we feel time going by is related to how fast we are moving. Objects travelling at speeds close to the speed of light (about 300 000 kilometres per second) age slower than objects which are not moving. In 1975, Professor Carrol Alley tested Einstein's theory using two synchronised atomic clocks. Carrol loaded one clock onto a plane, which was flown for several hours, while the other clock remained on the ground. At the end of its flight, the clock on the plane was slightly behind the one that was left on the ground – that is, time had actually passed more slowly for the clock on the plane than the one on the ground. It had travelled every so slightly forward in time. So to travel into the distant future, somehow scientists need to come up with technology than can allow us to travel somewhere near the speed of light. But what about time travel into the past? In theory, nothing in the laws of physics is stopping us from doing it, however, no one quite knows how to do it. According to Einstein's theories, any object with mass will cause a warp in space-time, similar to a bowling ball sitting on a mattress. Because space and time has been stretched, clocks operate slower close to Earth than in the vast areas of space. Previous theoretical designs of time machines have used this concept of mass distorting space-time, however these theoretical machines require a tremendous amount of energy to work. A professor of theoretical physics named Ronald Mallett came up with another idea. He believes that anything containing energy could warp space-time, and as a result, he has designed a time machine that uses light, rather than mass. His theoretical time machine consists of a ring of two intense beams of light, circling in opposite directions. By slowing the light down in an ultra-cold bath of atoms and increasing the intensity of the beams, he thinks space-time inside the ring would become warped. Eventually, space and time would become so distorted by the circling light that time would become a dimension similar to space - a dimension that you could move along! If you entered the ring and walked in the correct direction, you could walk backwards through time - maybe even passing yourself as you entered the ring! However, there are lots of problems putting Ronald's theory into practice. The temperature of the ring would have to be close to absolute zero (-273°C), so humans would find it difficult to use. And it would also be impossible to travel back to a time before the machine was switched on. Perhaps this is why we’ve never met anyone from the future! So, what about these wormholes? Can we travel across the universe instantly using one? The universe appears as three dimensions in space (up-down, left-right, and forward-backward) and a fourth dimension known as time. Wormholes are connections between two different places in space and time. This is difficult to visualise in four dimensions, but it is easy to see in two. Imagine two points on an sheet of paper. You could travel between the points by following a line on the piece of paper, or you could fold the paper over so that the two points touch. By folding the paper, you are making a 'wormhole' in the two-dimensional paper world. Although there is no experimental evidence for the existence of wormholes, theorists believe that they may exist. Wormholes first appeared possible in Einstein's theory of gravity, in 1913. However, physicists had almost forgotten about them until the eighties, when Carl Sagan included them in his novel Contact, in which the main character travels to another part of the universe to visit another civilisation. To be stable, wormholes need lots of what’s called negative energy. Quantum mechanics suggests that it exists, but we haven’t found it yet, and we don't know whether the laws of quantum mechanics allow enough negative energy to be concentrated in such a way as to allow wormholes to exist. One possible location for wormholes is at the centre of black holes. Travelling through one of these might prove extremely difficult however, since the wormhole would be so unstable that it would collapse as soon as a spaceship (or even a ray of light) entered it. This is because there would not be enough negative energy to hold it open. So don't pack your bags for a trip to the other side of the galaxy just yet, or for a trip back in time. Scientists haven’t found any wormholes yet, or made a time machine. So we do know that a wormhole is not going to get you across Beijing in time for work after you’ve slept in. What are black holes? Can we use them to travel through time? Where are they and what creates them? What is DNA? What does it stand for and what does it do? Can we change it and change ourselves? Why do we dream? Do they mean anything? Can we control them? What is Global Warming? Are humans creating it and is there anything we can do about it? Can we live forever? What is stopping us from becoming immortal? Are we the first generation to live to 150? Has it come to this? Can science now predict something as personal as the types of music that someone likes? This week we take a look at some of the advances being made into helping us broaden our music appreciation, and predict the unpredictable. Where is Pluto? Is there life there? Is it even a planet? This week on Mr Science, we are going further out into the solar system than ever before. What are volcanoes? What causes them, and where can we find them? Some of the biggest volcanoes on Earth are under the ocean. Are the connected to Earth quakes and tectonic plates?